The First World Congress of Pushkin’s Descendants is opening in Moscow today in the run-up to the 210th birthday anniversary of Russia’s most beloved poet celebrated on June 6th. 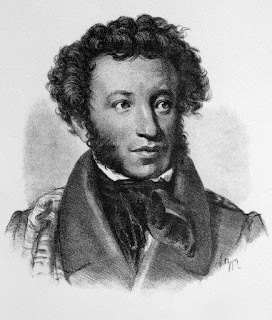 A total of 235 people in Russia, France, the United States, Germany, Morocco, Hawaii, Belgium and other countries pride themselves on being direct descendants to Alexander Pushkin. Attending the Moscow congress are about one hundred representatives of different generations. Pushkin’s great-great-grandson, Russian Orthodox Archpriest Nikolai Soldatenkov, lives in France. Nikolai Soldatenkov says he finds it important, just as the rest of the descendants, to meet on the Russian soil. He was born in France but he says he stayed Russian at heart and felt a foreigner until he received Russian citizenship seven years ago. Next year has been declared Year of Russia in France and France in Russia, and I see it my duty, he says, to cultivate love of Russian culture in French people. I teach my children and my 10 grandchildren to respect Russian culture, literature and music. The World Congress of Pushkin’s Descendants will last till June 7th and in four days its participants are bound to experience strong emotions by visiting for the first time the places connected with the family of their ingenious relative. They will visit the Great Ascension Church where Pushkin was married to Natalya Goncharova, the mansion in Arbat Street, where he lived with his beauty wife. They had four children and due to this the Pushkin family tree has 58 branches. The meeting in Moscow was organized by the Pushkin State Museum, which boasts a unique collection of rarities that will now be enriched by numerous heirlooms to be donated by the guests, including autographs by the poet’s ancestors and heraldic documents and parish registers that belonged to the Pushkin noble family.